Do you still have a closet full of old cassette tapes? Well, for one quit living in the past, but if you can't, at least get yourself this Crosley Retro Tape Deck so you can play your music in style. 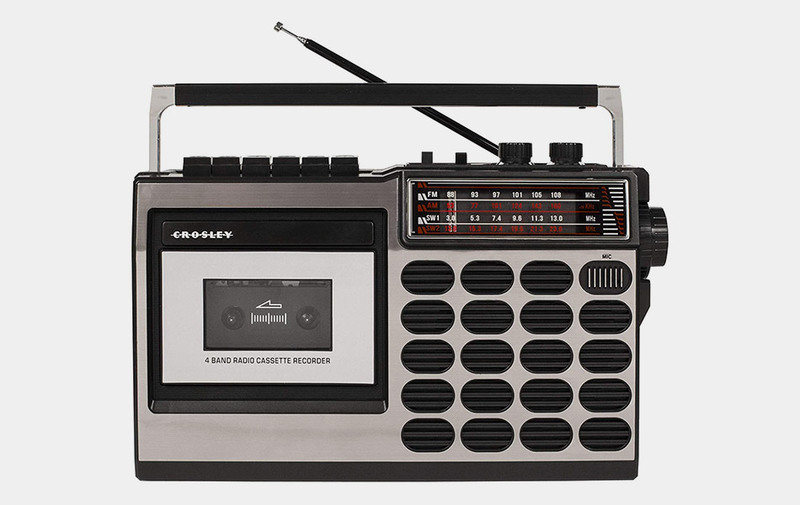 This retro tape deck has AM/FM radio and two shortwave radio bands. It also allows you to play your favorite music from a thumb drive or SD card. If that isn't enough, you can use the recording feature and built-in microphone to personalize your mixtapes too. sweet. Other features include AC or battery operation, plus a headphone jack.